Just a short note to share the latest things recently under my needles. We just came back from the coast with my step-mom for Mother’s Day Weekend 2018 and we had an absolute ball. My mom is so much fun and early every morning while hubs was still sleeping and the house was quiet, we had our coffee and she and I would chat and I’d work on quilt piecing while she kept one eye on FB and shared videos of adorable lab pups. Really…does it get any better than that? Mom, coffee, quilting, and cute puppies? I think not! 🙂 My latest is a Riley Blake design called The Corner of 5th and Fun. This little gem is so adorable! I’m making it for a little tot across the street from us at the coast who is just as adorable. Her mom designed her room in neutrals and I thought this would be perfect. 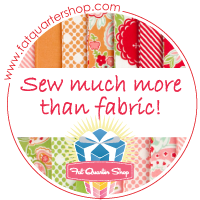 This weekend I finished the pinwheels and made it halfway through the 2.5″ squares around the border. The images are from a panel. Once I get the border squares finished, it will go together in no time. I ordered the 4 yards of backing material when we got home. Last Thursday we had an office picnic and I was asked to bring our grill. Of course I needed a cute apron so I hopped over to Emblibrary.com and found “Smokin’ Hot”. Gotta love it! The apron is a blank I bought in a pack of 3 from Sam’s Club for like $12 – that is the BEST place to buy white and black apron blanks. They are good quality at a great price. I used a single layer of black cut away stabilizer and floated the apron in my jumbo hoop. It stitched out beautifully and wasn’t too dense. Here are my co-workers and I: Juan, moi’, Kenny, and Tabitha who was born and raised in New Orleans. I let her admire my BBQ pit (inside joke) and she shared a killer gumbo recipe with me. This was Kenny’s 2nd time to cook with me so he got to wear an official team apron – we are Nice Rack BBQ. Last March, I took 4th place chicken out of 26 teams at a BBQ sanctioned by the International BBQ Cook-off Association. It’s kind of a big deal around here and I’m fairly serious about grilling my chickens. I’m still having a bit of trouble with my longarm giving me long stitches but I’ve discovered it’s not the machine at all – it’s the frame. Right where the two halves of the frame come together, a couple of the front wheels on the lower carriage don’t touch the rail. It causes the carriage not to know exactly what to do. I end up getting long dragging stitches and usually a thread break to boot. It happens in the same location on every pass regardless of whether the carriage is moving right to left or left to right. I took the frame nearly apart last month to figure it out and I was able to solve almost all the issues. But that one spot has me frazzled. Is there an engineer out there who can come over to help? It’s totally level, the rails are parallel, and the frame is square. I simply cannot figure it out and it’s preventing me from finishing my BILs t-shirt quilt. I’m terrified to snag the nylon in the t-shirts and create runs that cannot be repaired. Can you see the long stitches? I was able to push down slightly on the base of the machine right near the needle at this spot to prevent a thread break but wasn’t so lucky on the next pass. I still have to fix this even though the thread didn’t break. The Grace Frame company is going to be getting a call from me soon. I’m stitching the Sasquatch Quilt with a computerized design – Ebb and Flow from Intelligent Quilting. I really like it. Tomorrow I leave for a two day trip to Austin for a Master’s in Quilting Degree with Claudia Pfiel who is from Germany. I booked this class at Over the Top Quilting last December and I’m spending the night in Austin (Cedar Park actually) tomorrow night so I don’t have to make the 2 hour trip back and forth between the days. I’m SO excited! It was my Christmas and Mother’s Day gift to myself. I’m a very, very beginner in FMQ and I’m sure I will be a trial to her. She teaches at the International Quilt Fest in Houston so she’s one of the best in the world and I’m certain I’m totally out of my league. I’m determined to do my best though and hopefully I gain some confidence on the longarm while I’m there. I’ll be sure to blog my experience!